As avionics technology advances, display manufacturers are challenged to design displays that are more functional for the operator yet cost-effective for the customer. New software and hardware advancements are leading the way, while system upgrades and standardization of components create ongoing cost efficiencies for the future. As the airborne operator relies on more complex and larger amounts of data and video to improve situational awareness, the time the operator has to make a decision has steadily decreased, emphasizing the need for better organization, processing, and distribution of actionable information. Technology upgrades produce vast increases in computing power, allowing for centralization of previously distributed sensor, video, and data functions. This centralization results in the need for high bandwidth, low-latency communication links that allow for direct mapping of video to display unit pixels. An integrated video and data communication protocol, such as ARINC 818, provides this solution. ARINC 818 features high-resolution, low-latency video, and bidirectional data over a single fiber pair. Known for its flexibility, ARINC 818 can accommodate a variety of video and data applications. 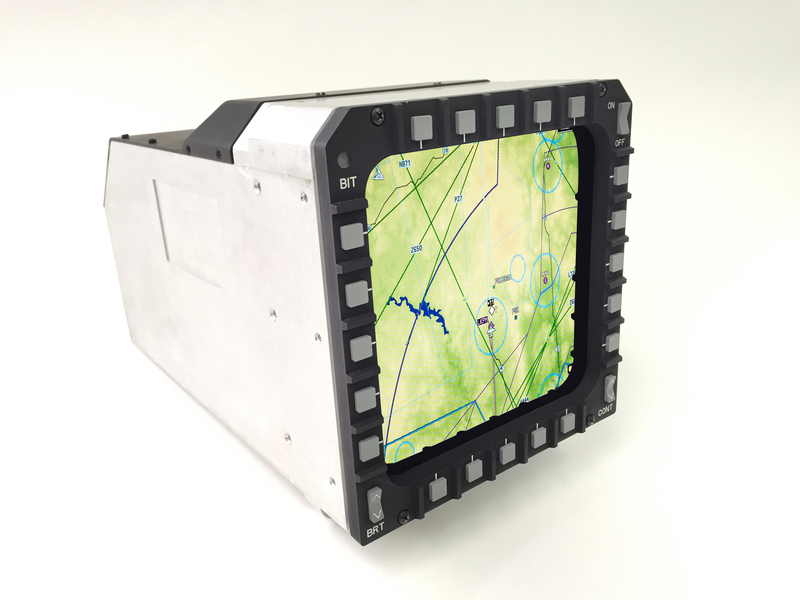 ARINC 818 was initially developed for avionics applications requiring high-bandwidth, time-sensitive information, such as moving images with real-time overlays. For example, a weapons control application requires data from various sources to be fused and displayed to the operator with perfect position and time alignment. At a critical decision point, such as an aircraft crossing the boundary of a defended area, accurate presentation of information will help the operator make the best-informed decision. Modular software and hardware components are designed to interoperate with other elements through careful specification and interface control, and suitable abstraction from platform-specific details. The Future Airborne Compatibility Environment (FACE) and ARINC 818 are two enabling architectures. FACE is a technical standard designed to promote portability and re-use of software lines across different military aviation programs. It was developed to address affordability initiatives related to the high cost of new complex mission equipment and electronic systems. Software applications designed to FACE standards have the potential to be seamlessly integrated on multiple mission computers and other devices on most any aircraft, offer common aircraft data interfaces, run operational flight programs (OFP) designed to FACE guidelines, and host FACE-compatible apps that meet customers’ unique system and application requirements. The portability of FACE applications makes the addition of avionics functions, such as moving maps, less expensive and with fewer defects. FACE architecture defines a segmented Common Operating Environment (COE) that supports the reuse and rehosting of application software across different computing platforms. The “Portable Components Segment” of the FACE Architecture is designed to be independent of the lower level hardware and software input/output (I/O) functions that are typically unique to each avionics device. This – with the additional segments of “Transport Services,” “Platform-Specific Services,” and “I/O Services” – form the successive abstraction layers that progressively allow for the reuse of software at the portable component layer across devices. An additional benefit of these stacked segments is the ability for simulated operations to be inserted at virtually any point in the successive abstraction layers so that any function can be tested without with need for the complete operational environment. ARINC 818 hardware is similarly modular in that the transport is identical and only the video and data format and content changes across platforms. ARINC 818 hardware can remain relatively stable because the video and message formats are contained in firmware. With two different FPGA loads, one ARINC 818 circuit board can operate in different platforms with differing ARINC interface specifications that reflect display size, color depth, and command and status messages as long as the bit rate is not exceeded. In some cases, the ARINC 818 hardware drives the display panel directly and in others it may provide video to a frame grabber to be combined with other video. ARINC 818 hardware with multiple video inputs can provide additional cross-platform capability and future proofing. Developing display technology that incorporates both fiber-based ARINC 818 and FACE standardization creates future cost-efficient integrations for customers and becomes the next-generation of avionics efficiency. Over the last few decades, the government set a goal for adopting a combination of industrial standards in the design of new equipment. Previously customized avionics equipment has now been replaced with modular designs that benefit from the efficiencies of interoperability, portability, and scalability. Once in place, the performance of these airborne systems can be incrementally improved by implementing system upgrades or technology insertions, with the latest state-of-the-art components. There is a cost savings with exponentially improved functional capabilities, truly an improved value proposition. The building blocks of several electronic aircraft systems are the avionics “black box” and line replaceable units (LRUs). Open architecture is widespread in these systems. This fact, combined with the use of more industry standard communication interfaces, allows tremendous flexibility in the direct specification and procurement of replacement hardware. What started as a “form-fit-function” replacement goal in the design of new displays has now significantly improved the life cycle management process with the selection and procurement of LRU components. Designers and program managers are encouraged and in many cases required to find commercial off-the-shelf (COTS) components for their projects. The theory is that COTS products reduce development time, and assumes a cost savings based on competitive pressures in the commercial marketplace. Importantly, the use of COTS components in avionics lowers total life cycle costs for a program. An example of aging technology can be seen with the CRT components in existing military cockpit displays. 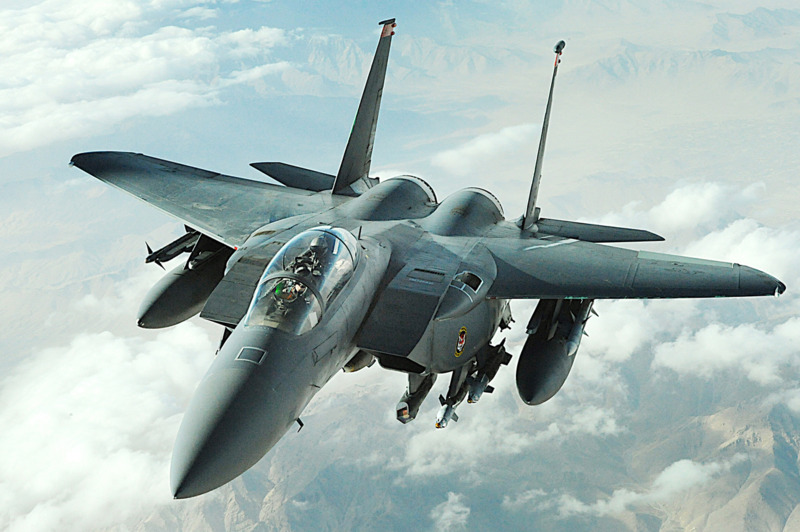 The Air Force has needed a suitable replacement for the aging CRT utilizing current LCD technology while still maintaining the same form, fit, and function of the existing unit. They look for qualified and fielded displays that can quickly and accurately be modified without changing outline and mounting surface or rewiring the airplane. Figure 1: The 6-by-6 multi-purpose display is a liquid crystal display (LCD) component that fit directly into the cockpit of existing F-15 with minimal changes to the mounting surface. Photo courtesy IEE. CRT replacement may also require raster and vector, or stroke, signal compatibility. NTSC-conversion integrated circuits are becoming less common, which may eventually force the use of more custom solutions. Vector signal conversion is more involved and off-the-shelf solutions are rare or nonexistent. Any analog conversion is subject to aliasing or other artifacts that may have to be smoothed for acceptable image quality. Once in place, though, these solutions allow the legacy signals to be held in place indefinitely, awaiting future technology insertion. It is no small feat to replace aging military equipment. Since the first installation of initial designs, industry is just now beginning to address replacement issues. From old, hot, high-voltage, power-consuming displays with less than optimal images to new displays featuring touch and gesture, LCD screens, 4K images, and OLED screens – to name a few – advanced technology is finally slowly but surely making its way into avionics display designs. There is no doubt that technology advancements in processing information are leading to operator efficiencies in the cockpit. The standardization and modularity of hardware and software in display design are also creating the cost efficiencies necessary to improve the overall value proposition of display systems. John Rodwig is a Director of Program Management at Industrial Electronic Engineers, Inc. (IEE). He has over 30 years of technical and management experience in defense and telecommunications, and co-holds a patent for a Radar Scan Converter. John earned a BS in electrical engineering from Tulane University and an MS in engineering management from California State University, Northridge. John can be reached at jrodwig@ieeinc.com.